With some three weeks remaining to the national elections for 20th Knesset, there are still efforts to grab the Chabad vote as the Chabad Beis Din in Eretz Yisrael has yet to announce which party it will back. The members of the beis din met and have decided not to come out in support of any party officials, adding that anyone who does so is acting on his own behalf as has been the case since the petira of the Rebbe ZT”L ZY”A. א. ידועה דעתו הק’ של כ”ק אדמו”ר נשיא דורנו כי תנועת חב”ד אינה מפלגתית ואין לנו השתייכות למפלגה כלשהי. ענייננו הוא להתעסק בהפצת המעיינות חוצה ולהכין את העולם לקבלת פני משיח צדקנו. 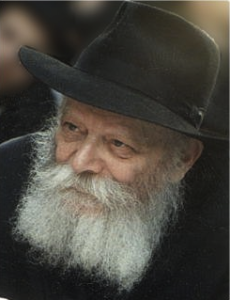 The Rebbe stated Chabad is not a party and it’s not affiliated with any political party. Our mission is to work to prepare for the coming of Moshiach. ב. אי לכך, כל אלו המתבטאים בזמן האחרון בנוגע לבחירות אינם מייצגים את העמדה הרשמית של תנועת חב”ד, והדברים הם על דעתם בלבד. Hence, anyone speaking out regarding elections is not an official representative of Chabad but speaks for himself as an individual. ג. יחד עם זאת, ידועה דעתו הק’ של כ”ק אדמו”ר על החובה להשתתף בבחירות ולהצביע, והוראתו “להצביע בעד הרשימה היותר חרדית”, שתדאג לשלימות התורה ולשלימות העם ולשלימות הארץ כפי רצון כ”ק אדמו”ר נשיא דורנו. In light of the publication of the letter the various parties are likely to begin efforts to get the Chabad vote; Yahadut Hatorah, Yachad, and Bayit Yehudi will try showing why they are most suited to receive Chabad support as the most chareidi party. It’s a debate many of us are currently having. Bennett is courting Chabad votes by crediting Chabad for his being frum (definitions of that will no doubt vary.) I’m not sure if we should be proud of that. That notwithstanding, I’m voting Yachad while my husband is voting Bayit Yehudi. I think it is too late for Bayit Yehudi to try to get the Chabad vote and they know it. The Rebbe was also against sending Yeshiva Bachurim to the Army (they even have a recording of him speaking about this subject and chabad.org if anyone is interested). Most Chabadniks are probably going to vote Yachad as R’ Mazuz is known to have a warm heart towards Chabad and he held the Rebbe very highly (even though he is not shy to object to what he feels is problematic within the movement). At the same time they have that right wing stance about giving land which the Rebbe was also known to have. Who is committed by principle other than yachaf to uphold those three pillars, shleymut hatorah, haam, and haaretz? What’s the choice for a chabadnik seeking to follow his rebbe’s instruction? Kol HaKavod to the Beis Din of Chabad for staying out of politics.